Ideal for presenting products, services, clients in a timeless style. For both Drupal 8 and Drupal 7. Support for video. On the slideshow. In internal pages. Everywhere. Why limit your content to just images and text, when video gets more important than ever? 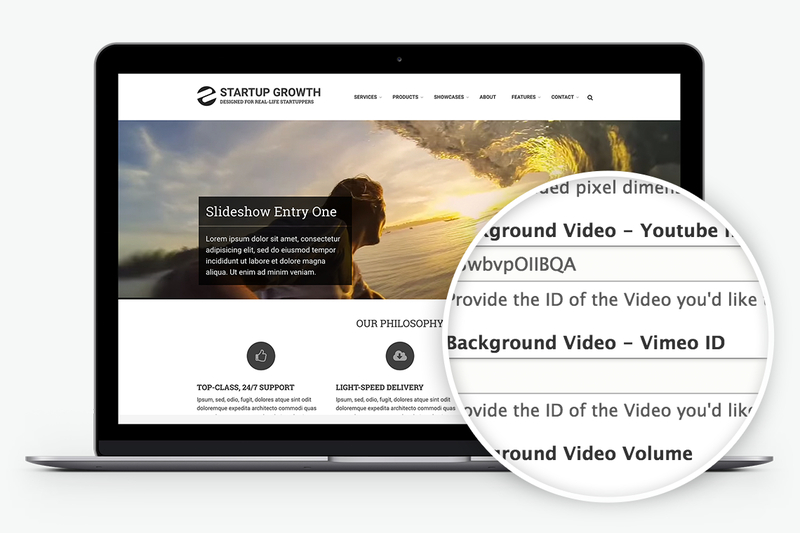 Startup Growth for Drupal 8 features deep video integration helping you to really stand out. Great animation options. For every region. Animation brings in a human, more dynamic feel to your site. Which is why Startup Growth for Drupal 8 features multiple options and deep integration with one the best CSS3 animation libraries out-there. 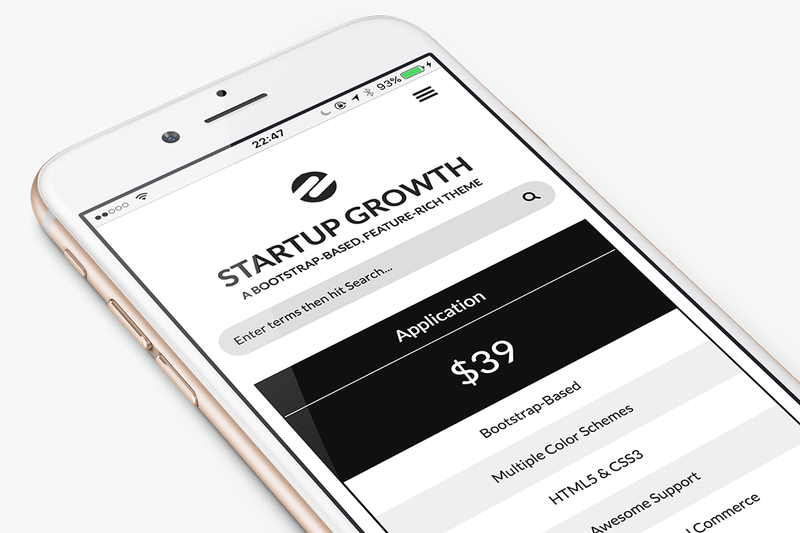 Startup Growth comes with gorgeous, responsive, built-in pricing tables, so that you can easily setup your product and service selling pages. Startup Growth Pro & Startup Growth Enterprise come bundled with Drupal Commerce providing you a turnkey e-commerce solution right after installation. 1 Available only in the Pro and Enterprise Editions of the Drupal 7 version. 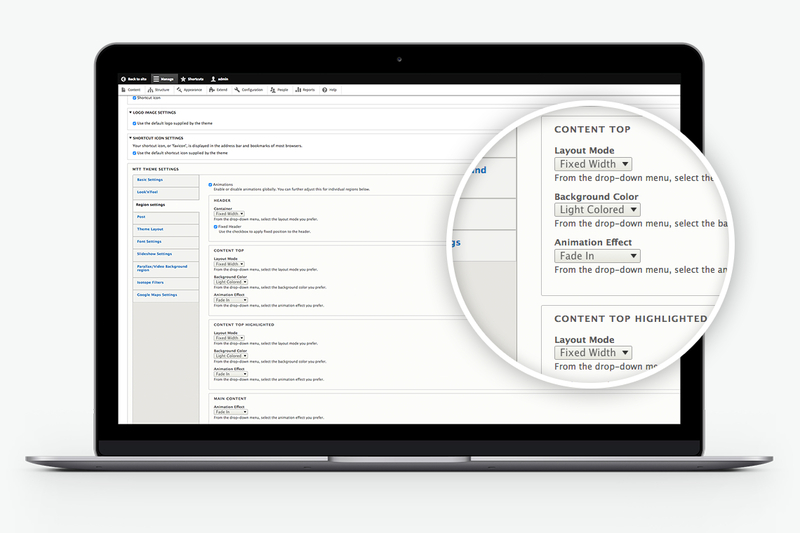 Coming to the Drupal 8 version. Featuring an amazingly robust full-width & boxed-width slider, powered by the Revolution Slider plugin, the most popular plugin on Envato. And guess what, it even includes a $14 license for the plugin. Why not have the freedom to have one, two, or three column layouts? Startup Growth supports all of those and, guess what, they've all been carefully crafted to work great. Among the great things about the Web today, is the ever wider use of icon fonts, providing access to scalable, quality icons for every use. The Quick Tabs allows you to create blocks of tabbed content, specifically views, blocks, nodes and other quicktabs. You can create a block on your site containing multiple tabs with corresponding content. Enjoy View blocks and pages based on Bootstrap Grid ready-made for your ease: Benefits, Latest Posts, Popular Tags, Promoted posts, Services, Showcases, Slideshow Boxed, Slideshow Full Width, Testimonials, Twitter Updates and yet much more. Making it easy for your visitor to locate your business on the map plays an ever-growing role nowadays, and Startup Growth does great in this direction. 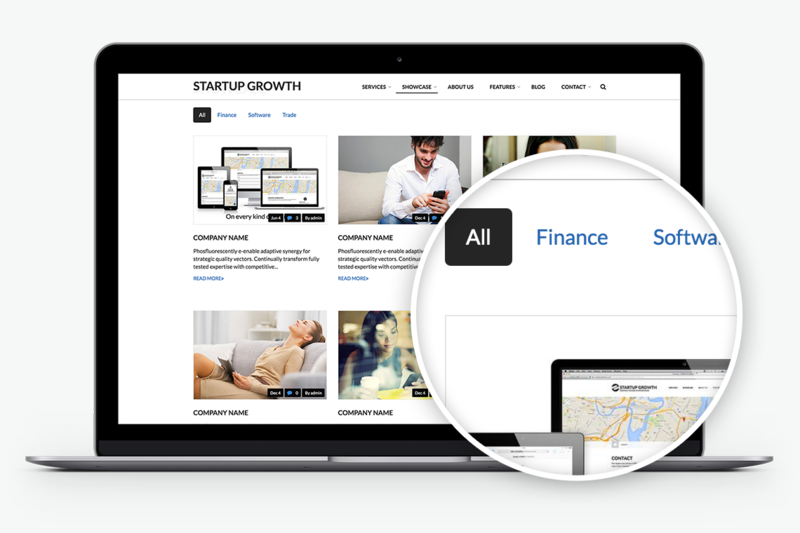 Startup Growth integrates with the Superfish module supporting gorgeous multi-level drop-down menus with smooth motion. Comes with a wealth of custom regions: Header, Navigation, Navigation search area, Banner, Top Content, Highlighted, Content, First sidebar, Second sidebar, Highlighted Bottom Left, Highlighted Bottom Right, Bottom Content, Footer Top, Footer First, Footer Second, Footer Third, Footer Fourth, Subfooter Left, Subfooter Right. And compliant with the default Drupal regions. Show off the greatest words about your business, in a great-looking way. Drupal 8.x and 7.x theme with Views. 1 Drupal Commerce available in the Drupal 7 version only, for the time being.